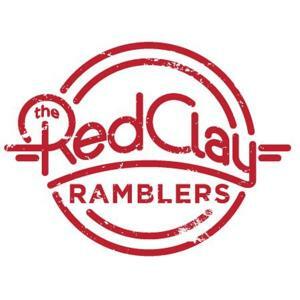 You’re invited to the Barn at Fearrington Village on Thursday, June 4 for a special one-night-only performance by the Red Clay Ramblers to benefit the Be Loud! Sophie Foundation. The Be Loud! Sophie Foundation honors the memory of Chapel Hill teen Sophie Steiner, who died of cancer in 2013. The foundation raises funds to support UNC Hospitals in their effort to improve the care it provides to teens with cancer. UNC legend Eric Montross and WUNC Back Porch Music host Freddy Jenkins will MC the event – and the Ramblers will be joined onstage by many special guests, including Tift Merritt and Don Dixon. Annabel Steiner and the Red Clay Ramblers’ Chris Frank joined Aaron Keck on WCHL this week. Tickets are $125 per person for the event (or $175 for preferred seating close to the stage). There will be a barbecue dinner, beer and wine, and a live auction – all to benefit the Be Loud! Sophie Foundation. For more information and to purchase tickets, visit RamblersBeLoud.com or BeLoudSophie.org.